The SRC yesterday approved a committee to award honoraria, after conflicts over the membership of the proposed committee. The original motion, backed by prominent members of the executive, was put to SRC 7 to reform the system for awarding honorary payments (honoraria) to volunteers. The motion faced criticism and was ultimately amended, with concerns voiced about the power the motion would grant to the Executive and the short period of notice given. At stake was the appointment of committee members with the power to award honoraria, a financial reward ANUSA gives to students who do significant volunteer work for the Association, which until now have been awarded directly by the SRC. The original motion, moved by Vice-President Eleanor Kay and seconded by President James Connolly, stated honoraria would be determined by a committee appointed by the executive, which would be chaired by an ANUSA trustee (the ANUSA President or Treasurer), and its decisions would be “final”, meaning the SRC could not overturn the decision. Kay defended the motion on the basis that it would “not be helpful to reopen the discussion after the committee has looked at [honoraria] in detail”. The motion was critiqued by representative Alana Tolman, who noted that the ANUSA Trustees had expressed strong views opposed to larger grants of honoraria, and representative Howard Maclean who complained that under the motion “every single member of the committee [would be] appointed by the executive”. Kay responded to the criticism by telling the SRC that “[the student body] have elected your executive to have strong opinions”. 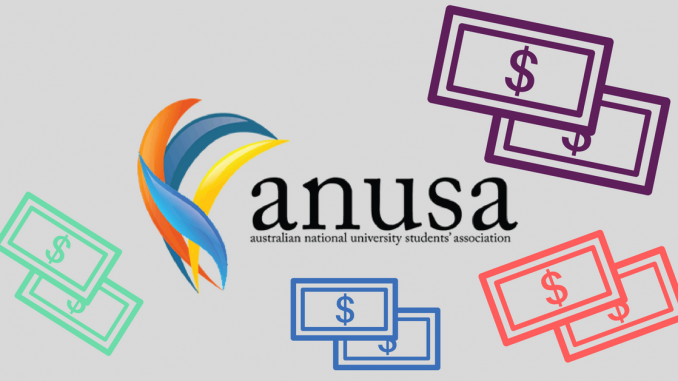 In response to the motion, Maclean moved an amendment that only one of the seven members would be an executive appointment and four would be filled by students not involved in ANUSA. The amendment also removed ANUSA’s professional staff from the committee. Speaking for the amendment, student Ben Creelman argued that this model was “best practice” and would create a “process where we can all be satisfied that decisions will be made independently”. Both Kay and Connolly criticised what Connolly called an “implicit criticism of the staff” which he characterised as “totally inappropriate”. The amendment was narrowly defeated, 6 for and 9 against with a large number of abstentions. General Secretary Kat Reed then called for a short break to allow the executive to negotiate a compromise. The parties quickly reached a compromise which axed the four independent seats while giving the executive and professional staff three, with the final four to be elected by college and general representatives. Maclean spoke for the new model, saying that it “spreads power out to people beyond the executive”. The motion was unanimously accepted. The debate over the motion arose after controversy determining the quantity of honoraria paid to Joel Baker and Tandee Wang, who worked as probity officers during the election. It was agreed that Baker in particular was deserving of honoraria but Connolly and Kay proposed a $500 payment, while Maclean moved an amendment which was narrowly accepted to increase this to $800 and give $200 to Wang. This precipitated a broader debate over the nature of honoraria. Connolly said that honoraria are “not guaranteed”, “not compensatory for hours worked” and “must be tokenistic”. Maclean challenged this, noting that at the Woroni general meeting held earlier that day, Editors had been paid honoraria of “$1500 on a quarterly basis”. Connolly dismissed comparisons with other student bodies’ payments of honoraria, advising that they “review their use of the term honoraria, perhaps they should use the term stipend”. Last year, two probity officers were awarded $150 each. In other news from last night’s SRC, James Connolly told SRC that with UC’s recent disaccreditation from NUS, it was his belief “The ACT state branch of the NUS will [cease to] exist … if the UC decision stands,” though he did qualify that he could not speak for the NUS. Additionally, Social Officer Cameron Allan’s report was not accepted by the SRC because it was identical to his last report to the body; these reports are usually unanimously accepted. It later transpired that he had attached the wrong document in an oversight. Disclaimer: Eliza Croft did not participate in the writing, editing or approval of this story. Michael Turvey was a Probity Officer in 2016.